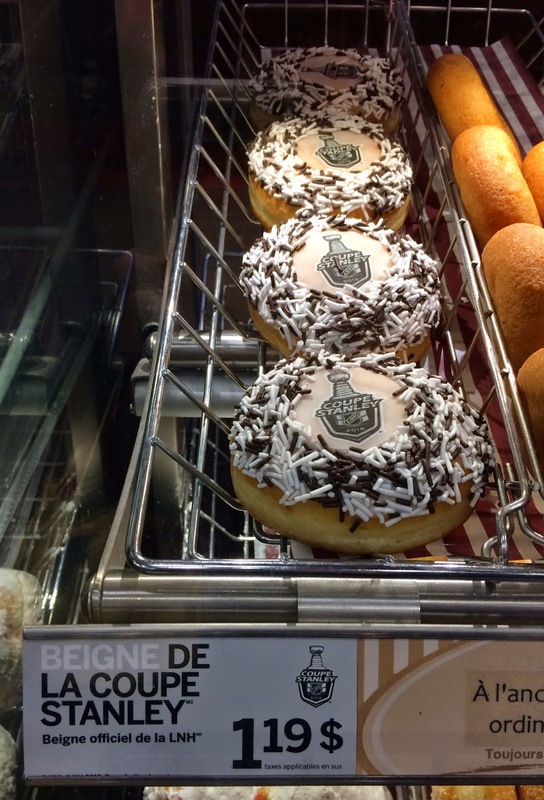 We found a new (or at least new to me) donut at Tim Hortons called "Beigne De La Coupe Stanley." Stanley Cup is a trofee given to the champion of NHL, and in Quebec, the official language is French, it's written as LNH (Ligue Nationale de Hockey) and "Coupe Stanley." 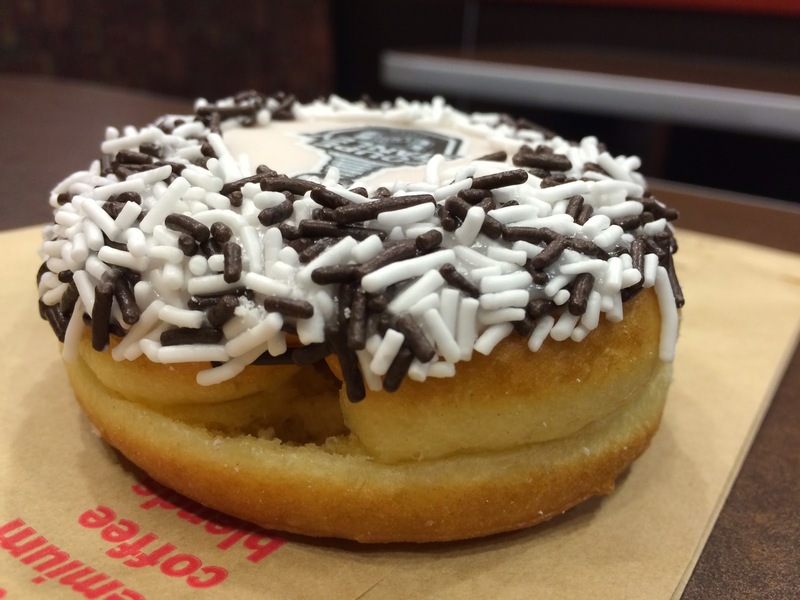 My husband said he tried it last year when he's here, but it's my first time to try this special donut. 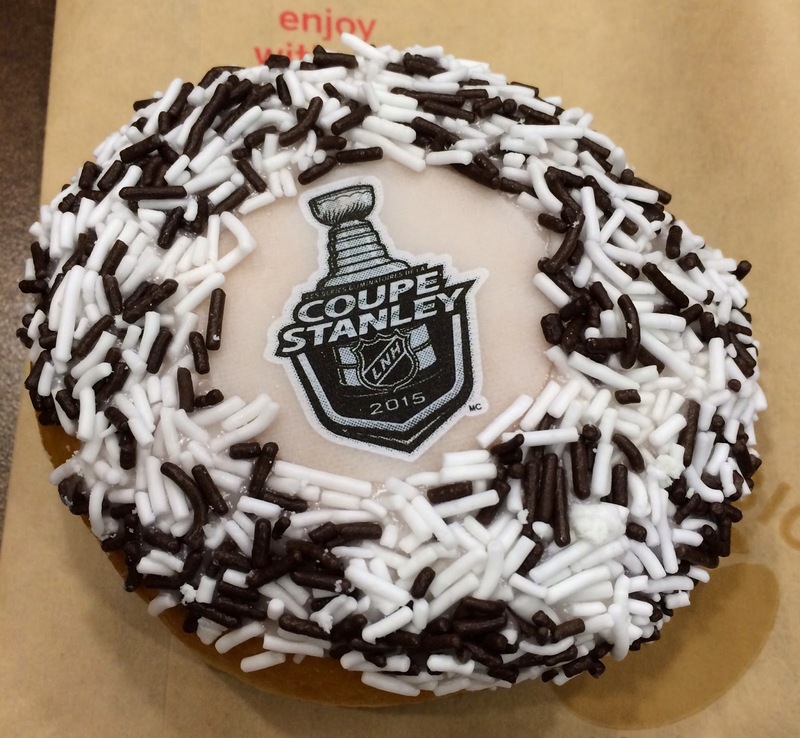 The sprinkles were black and white, and in the center, there's an edible sheet of Stanley Cup logo with 2015. On the side, there's a hole so that I could tell there's some filling inside. 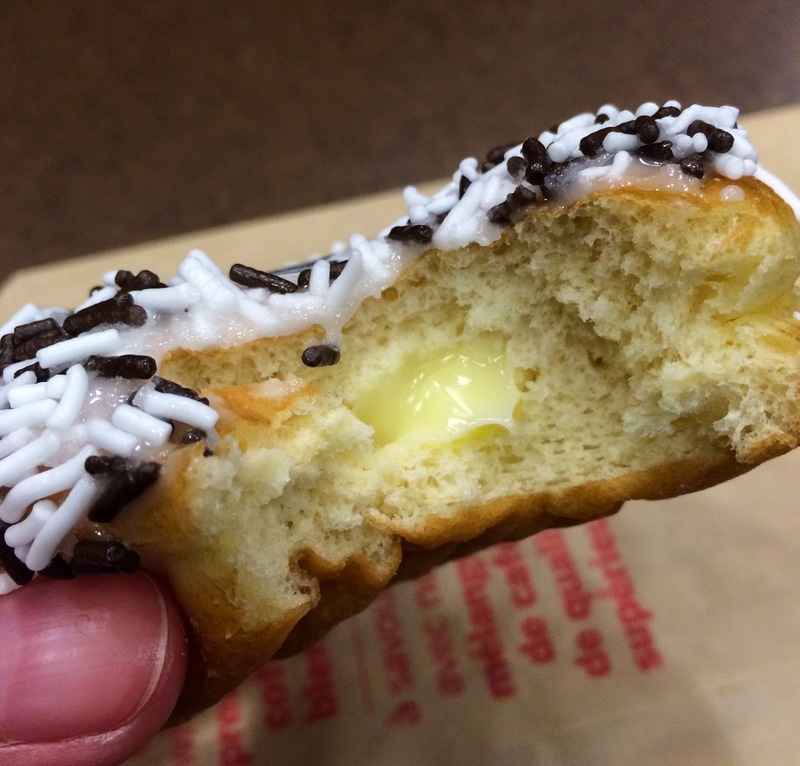 Inside, there's sweet, smooth, and pale custard cream, which tasted like condensed milk in a way. The dough was soft as usual and the sprinkles were placed over sugary icing, and the edible sheet was made of sugar.